Who isn’t on Facebook? I mean, I even have my grandfather on my Facebook and he loves taking pictures and sharing them with the entire family. As an entrepreneur in this digital world, we understand that marketing is constantly changing. Facebook is constantly shifting and evolving as it continues to grab data from each user. But here are my tips for staying ahead and continuing to grow your business online using Facebook. And for those who don’t think they can afford Facebook Ads, you 100% can. I’ve worked on campaigns that were as little as $1 a day. Let me show you what you need to know. First off, let me introduce myself. My name is Becky Burgess and I’m the owner of Splash Owl Media, a digital marketing agency that specializes in Facebook Ads. My degree is in Business Marketing and I’ve worked for different ad and marketing agencies for about 8 years until I found myself laid off during my maternity leave. Needless to say I was absolutely devastated. Here I was, a mom of a toddler and now a newborn with this unbelievably difficult choice of either staying home with them and losing my income, or going back to the corporate grind and only seeing them right before bed. I didn’t really like either one of those choices. Instead I realized that I could use the skills I learned in the corporate world to create my own marketing agency. My mission at Splash Owl Media is dedicated to helping moms grow their businesses with digital marketing so they don’t have to sacrifice income or family. 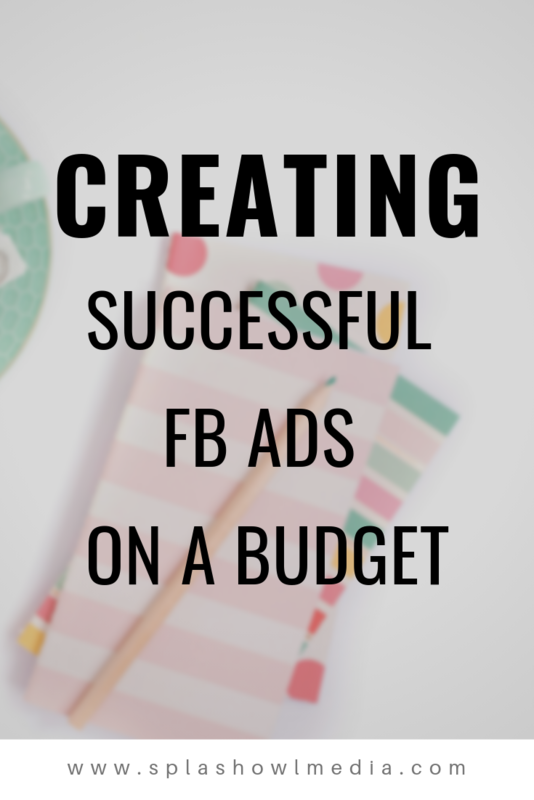 My goal here is to walk you through how you can run a successful Facebook campaign, grow your list, and make money on autopilot WITHOUT a massive budget. Yep, and I’m not ashamed to admit it. Competition is fierce and it’s important to know and understand what is or is not working for someone else in the same or a similar niche to yours. I always like checking out high-profile influencers in my niche, such as Amy Porterfield and Marie Forleo. However, I also reel it in and look at those closer to my level too.If they’re a serious Facebook Ads expert (like yours truly) they probably have a Facebook Ad our there right now retargeting all the visits to their site. I like to call this “stalker research”. Go and get to know your competitors, keep track of what they’re doing that you like and that would be honest to your brand and what they’re doing that you do not like. Every brand is so unique so don’t just do something because someone else is; instead, make sure you’re staying on brand and genuine. Doing this will help save you time, money, and a massive headache down the road when you have no idea what content to create. Now Facebook has a new(ish) feature where you can see what types of ads your competitors are currently running. Go to their Business Page and click on the “Info and Ads” section on the left. So if you need some inspiration, check this section out first. What you tell a cold audience (people who have no idea who you are) won’t be what you tell a warm audience (people who are somewhat familiar or very familiar with your brand). Just like what you tell a stranger won’t be the same thing you tell a close friend. Are you really going to share that embarrassing story about how you ran into a pole while walking into Disney and like 500,000 people saw you do it. Then, your brother proceeding to continue to embarrass you by imitating you over and over again hitting that pole. (Yes, true story.) But you get my point! You wouldn’t share something intimate with someone you just met. You also wouldn’t say “hey, girl!” Because THEY DON’T KNOW YOU…and you’d totally come off as that crazy lady. Same concept with Facebook Ads. No one cares about your branding or what you look like. They first want to see if you’re going to give them something they need/want. Then, they’ll pay attention to YOU later. This is the nurture process. So the headlines and text you use for a cold audience is going to be vastly different than how you’re going to approach a warm audience. The headlines that convert the best for a cold audience get straight to the point. Take out the fluff and just tell the potential lead what you are going to give them or what the exact benefit is of your offer. As I said before, what works for a cold audience will not work for a warm audience. Make sure that you create separate ads and ad sets for these moments. Cold audiences don’t typically care about what you or your brand looks like…unless you do a video where you’re helping them with something. Other than that, stick to images that will paint a dream for them. Pretty places, landscapes, sunsets, families, etc. do really well with target audiences. OR show them exactly what they are getting by opting into your list. Plus we don’t want the image to distract them from the amazing text. REMEMBER: The image is supposed to get them to stop and the headline is supposed to peak their interest and the Text (copy above image) is supposed to push them to take an action. If you’re not sure which image to use, test two different ones. Just make sure they’re not too similar or the feedback won’t be accurate. For a warm audience, feel free to use images of yourself or your brand. These do better for people who have already come into contact with you because now you want to get them familiar with your brand and your face so they remember you. When creating the ad, do not use the Sign-up button, especially not with a cold audience. Instead, opt to use the Download or Learn More button. These do a lot better. Most people know they’re going to get prompted to opt-in, however, the “sign-up” button can scare them off before you’ve had a chance to coax them in.The goal in doing it this way is to gain their trust before grabbing their information. The best converting offers are checklists, pdf guides, work flows, etc. People want quick, simple, done-for-you offers that save them time and energy. Seriously, you guys, make this looks amazing! If you’re going to put all the hard work and effort into creating the ad, analyzing the targeting, and writing a killer copy, you may want to put that same amount of effort on the Landing Page. Here’s something to consider: When looking at your analytics from your current or previous campaign, if you’re getting dozen, hundreds, even thousands of clicks on your ad but not many that actually opt-in, most of the time this indicates it’s your Landing Page. Then, if your landing page is awesome but you’re not getting clicks, it’s your ad or targeting. Everything has to work together in a fluid motion. The Thank You page is super important too. Make sure you’re utilizing the Thank You page to make back some of your money. This means have a killer tripwire offer on this page that pushes people to take advantage and will help offset your Facebook Ad spend. Some of you may have heard of the testing phase when it comes to Facebook Ads. This is where you want to breakdown each of your audiences against two copies and two graphics (the more you test means the more money you’ll spend so I recommend keeping it to the two each rule). See how that’s the same audience used 4 times and within each one you’re pairing up the copy and graphics differently. Then, within each Ad Set, I only use two graphics. So although you can have multiple ads within one ad set, you really want to segment these out to get the best results. Facebook likes to determine a winner right off the bat meaning your budget won’t be evenly distributed among the ads. But if you space them out at the Ad Set level, you will have better control over the budget and know which ad and audience is performing the best. This also means you will be spending less in the long run as you will know after 48 hours which audience and ad is getting the best conversions so you can turn the others off and focus on the winning ad set. P.S. 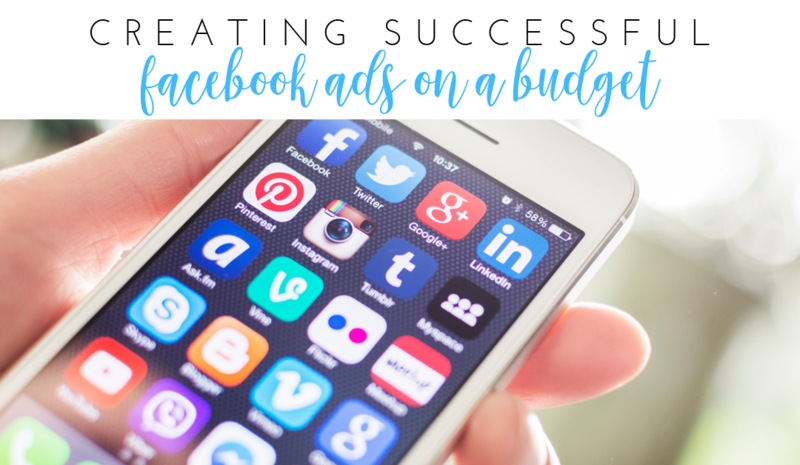 Don’t forget to pick up my The Successful FB Ad Roadmap.